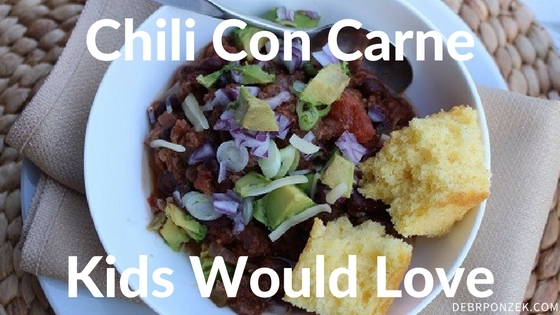 Kids tend to like chili, and when they can choose their own toppings, they like it even more. 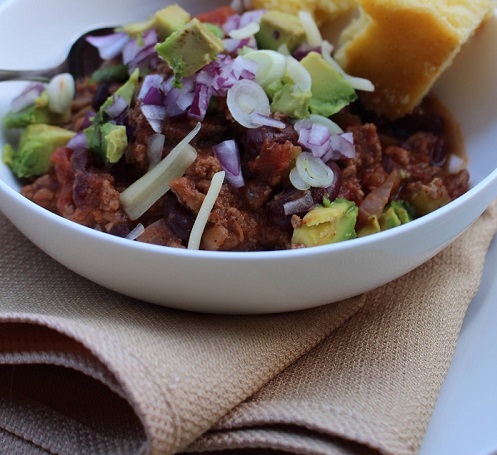 Some nights just call out for chili because it’s so warming, hearty, and foolproof. 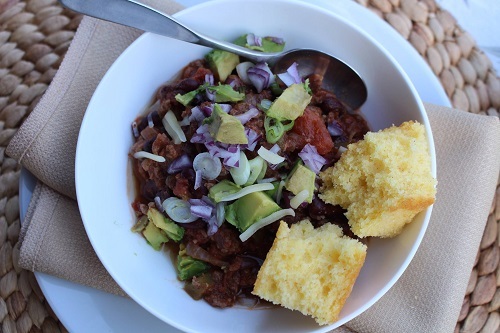 This chili con carne recipe, which uses canned beans, comes together in under an hour, and so it’s just about perfect for a school-night meal. 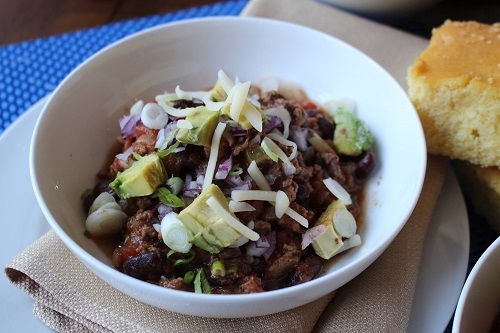 A great chili con carne recipe satisfies everyone and makes for some fantastic leftovers! In a large saucepan or medium pot, heat the oil over medium-high heat until just shimmering. Add the onions and bell pepper and saute, stirring occasionally, for about 10 minutes, or until the vegetables just begin to brown. Add the ground beef and cook, breaking the meat up with a wooden spoon or long-handled fork as it browns, for about 5 minutes, or until it begins to lose some pinkness. Add the tomatoes with their juice, chili powder, salt, cayenne, and cumin and bring to a simmer. Lower the heat and cook, stirring occasionally, for 30 minutes, or until the meat is cooked through and the flavors have blended. Add the kidney beans and cook for a few minutes to heat through. Serve topped with sour cream, scallions, or Cheddar, as desired. 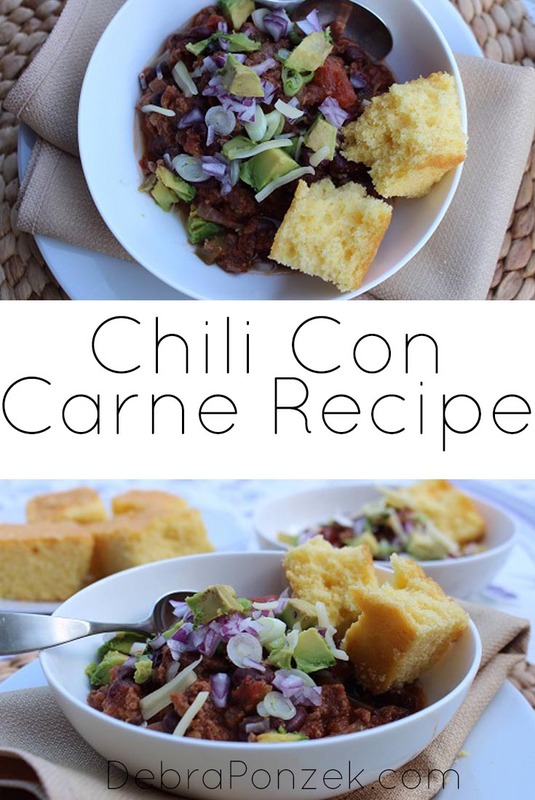 This recipe makes including the kids easy. You can easily have the kids rinse and drain the kidney beans or grate the cheese. 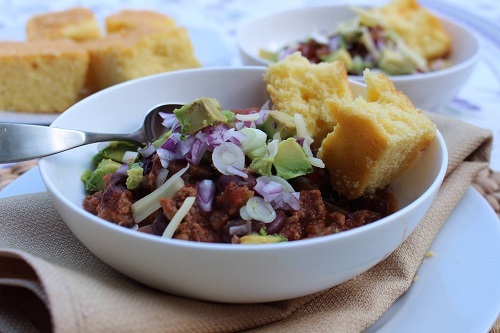 Another fun way to serve up the chili con carne is with the optional toppings in a side dish. 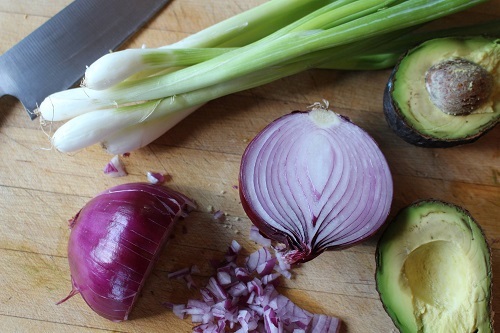 Have the kids bowl up the sour cream, cheese, and scallions to serve on the side.